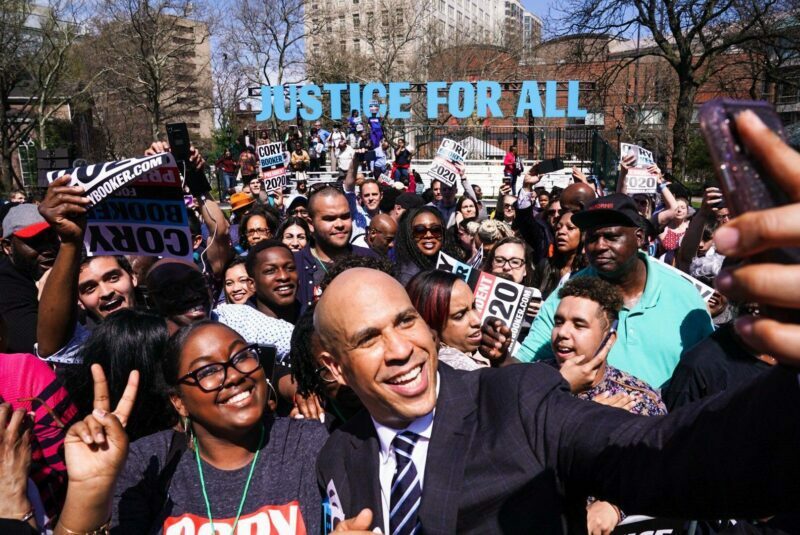 NEWARK, NJ-New Jersey Senator Cory Booker today held his 2020 Presidential campaign kickoff today in Newark to a crowd estimated at approximately 3,000 strong by days end. At the beginning of the kickoff, several hundred were in attendance, but the audience grew slightly throughout the morning. Booker who returned to his native state of New Jersey for the event came in 7th place in a recent New Hampshire Democrat primary campaign poll. Of late, the Senator has been touring the United States, drumming up support for his campaign. 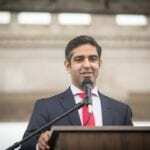 Hirsh Singh, a candidate for Governor in the 2017 Republican primary election. Singh, who has been an outspoken voice against Booker and New Jersey Governor Phil Murphy since the 2017 Republican primary, criticized Booker who has been an absentee senator for the State of New Jersey since he began his Presidential ambitions. Another former gubernatorial candidate, Joseph Rullo criticized the low turnout for such a major political event. Harrison Nealy, a spokesperson for the NJ GOP issued a press release about Booker’s event, quoting NJ GOP Chairman Doug Steinhardt. “I’d like to welcome Hollywood’s Senator, Cory Booker back to New Jersey. If he needs directions or recommendations on accommodations, he can feel free to reach out to the NJGOP for guidance,” the release said.